An exquisite necklace with cute & pretty Cream Natural Color Shell Laminated Round Pendant with tiny shell encrust & embedded inside the pendant accented in black chord necklace. 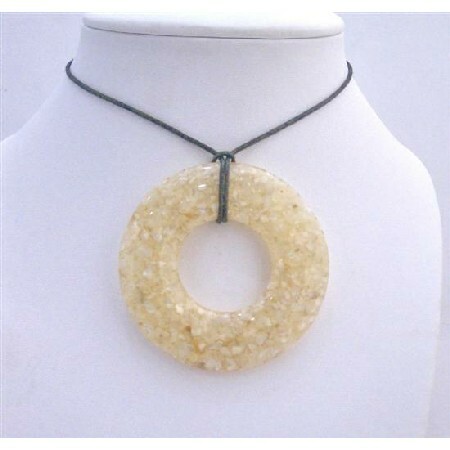 This fascinating necklace in beautiful round pendant color with elegance & stand out from the crowd. Variations in the color & pattern lends a surreal beauty to the necklace.